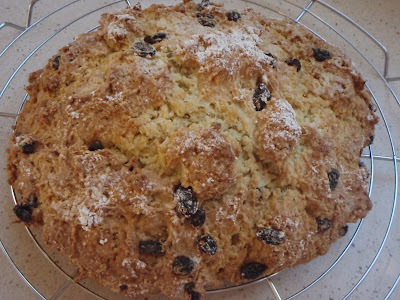 This is the best Irish soda bread you will ever taste, I promise! This is also the easiest recipe I have ever made and I think everyone should try it. Let me know if you agree with me! Preheat oven to 350 degrees. Place a piece of parchment on a baking sheet or spray a baking sheet lightly with cooking spray. Set aside 1 teaspoon of flour. 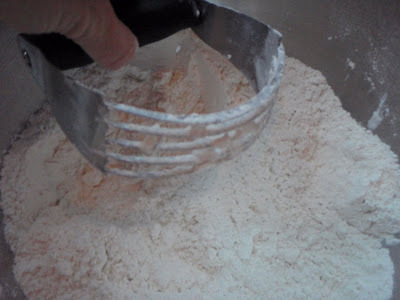 Also, set aside a couple more tablespoons flour for kneading at the end. 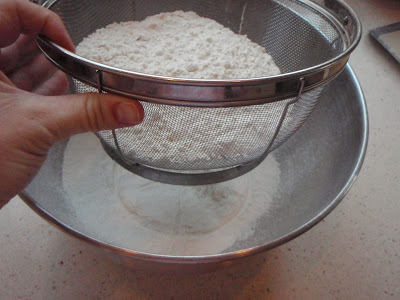 Sift three cups of flour, baking soda, sugar, and salt into a large bowl. 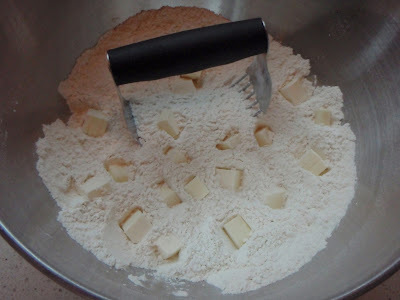 With pastry blender or 2 knives used scissors fashion, cut butter into dry ingredients until mixture resembles coarse meal. 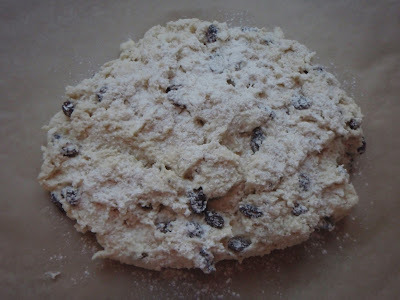 Stir in raisins and anise seed, toss until raisins are coated with flour. 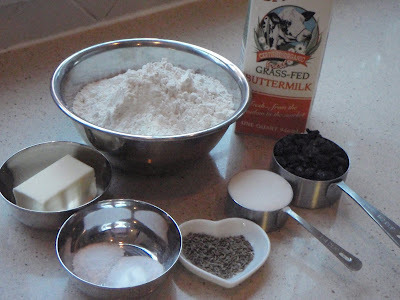 Pour in buttermilk; stir with fork until dough comes together. 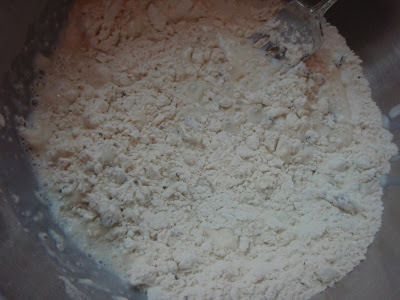 Knead in bowl 8-10 times, with your hands, sprinkling a little flour onto dough to keep it from sticking to your hands. 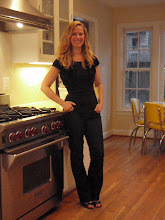 (This can also be done on a lightly floured kitchen counter.) Transfer dough to parchment lined baking sheet and pat into a 6-inch round (does not need to be exact). Sift remaining 1 teaspoon flour over the top of the loaf. With a serrated knife, use a sawing motion to cut 1-inch-deep by 4-inch-long X across top of loaf. This part is optional. (I actually forgot to do it in this example!) Bake for 45 to 50 minutes, until bread is golden and sounds hollow when top is tapped. Cool on rack. I made the Irish Soda Bread. Mine was not as good as yours Claire :o( The bread you made that I tasted was fantastic!!! I think I may have kneaded to much because the bread was not a light as yours when done baking. Any suggestions? Check your baking soda expiration date. Baking soda is so inexpensive that I replace mine each month. It can really make a difference in the texture. Also, if you have a gas vs electric oven that might affect it. You may want to check at 40 minutes if you have an electric oven vs. gas. Try making it again --I know it will turn out great. I bet this is the recipe you have been looking for....when I tried this soda bread for the first time I felt like it was THE BEST, too! Let me know what you think after you bake it!